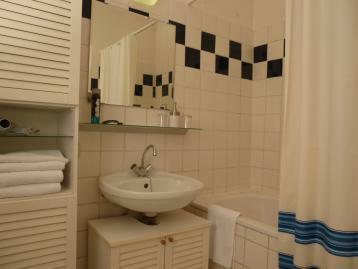 The bathroom features a large tub and is tiled in classic white with blue trim tiles. Towels are provided. Toilet is separate.